"Where Families & Children Come First"
Cecilia Jefferson was born August 22, 1952 to Fred and Artie Jefferson. She was born and reared in Watts. She is a graduate of Jordan High School, attended Pomona college in Claremont and completed her graduate and doctorate degree in Child Psychology at the Wright Institute. She is a proud mother of three children—Niquelle, David, and Chanel. Upon completion of her education, Dr. Jefferson-Freeman founded the Fred Jefferson Memorial Homes for Boys in 1989, to service youth in the area in which she grew up in. She loves children and wants to provide quality home like environments for children in need of out-of-home placement. During her career, she has operated six group homes for boys and girls. In 1995 she opened the Fred Jefferson Memorial Foster Family Agency where foster families are certified and trained to provide a safe and loving home for children displaced from their family of origin. She now owns and operates a foster family agency in Gardena, Moreno valley, and Sacramento to service Los Angeles, Riverside, San Bernardino and Sacramento counties. Niquelle James-Lewis was born on May 4, 1977 to Dr. Cecilia Jefferson-Freeman. She has developed a passion to serve the community in which she was born and raised. Her most passionate population to serve is foster youth. Niquelle developed this passion after watching the difference her Mother provided to the children in which she served as Niquelle was growing up. Dr. Jefferson-Freeman modeled that all children were equal in her home as well as the group homes. Through this model Niquelle loved all the children as her own family. That has continued throughout her adulthood as well. Niquelle became a foster parent for several years and from that experience she successfully adopted two children, Monique and Celina. Due to the compassion and desire to serve, Niquelle continued her education by obtaining a Bachelor’s of Science Degree in Human Services as well as a Master’s of Art Degree in Clinical Psychology while continuing to work at the agency. She has been employed at Fred Jefferson Memorial Homes since 1995. Debra A. Benjamin joined the Fred Jefferson Memorial Team in December 2017. Ms. Benjamin has been in the field of Social Work / Child Welfare for over 29 years. She has worked in the capacity of a Social Worker servicing children and families involved with Child Protective Services and in Medical Social Work servicing Geriatrics Seniors. Ms. Benjamin advanced in her career over the years promoting to a Social Work Supervisor, Regional Administrator, Program Director and Chief Administrative Officer working in Foster Family and Adoption Agencies. Over the past 18 years, she has managed multiple office sites and successful programs. In her current position as the Chief Administrative Officer with FJMH she is responsible for overseeing the agency programs and working closely with the CEO and CFO regarding the business aspect involving personnel, capacity building, direct program development and agency compliance..
Kimberly has worked for Fred Jefferson since its inception in 1989. She started off as a childcare worker in the group-home progressing through the organization until reaching her current position as Chief Financial Officer (CFO). 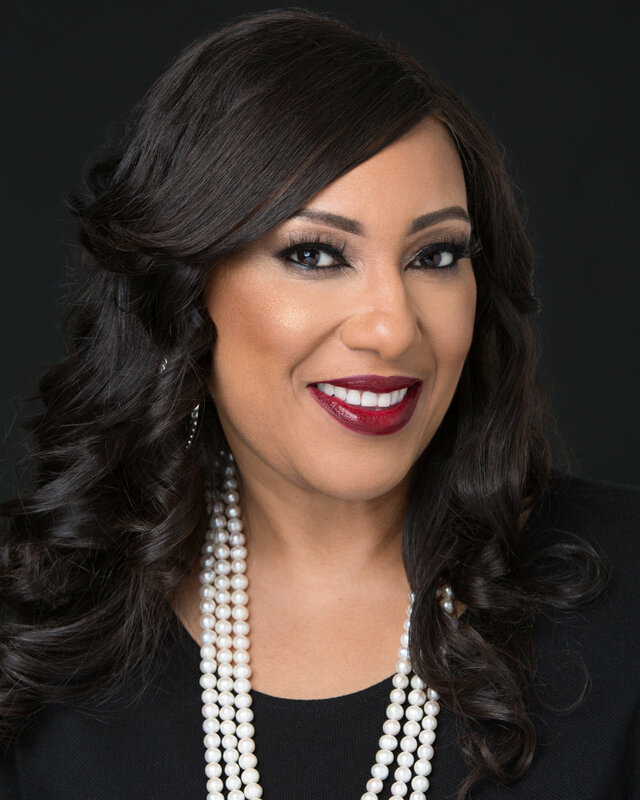 With more than twenty-nine years of working with Fred Jefferson, Kimberly has assisted in program growth and development from one group-home in Los Angeles county to a multi-million dollar organization spanning across five counties. Kimberly oversees all fiscal functions of finance, accounting and human resources. Born and raised in Southern California, Kimberly obtained a Bachelor’s degree from Cal State University Northridge . Kimberly brings an innovative grassroots approach to the Fred Jefferson Family that continues to help the organization thrive by developing new policy and procedures that promote sustainability.